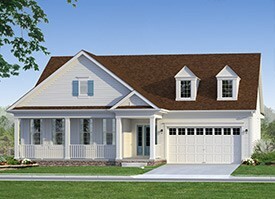 THE KELLY - Starting from $365,900 2 - 4 Bedrooms / 2 - 3 Bathrooms / 1,910 - 3,213 sq. ft. The Kelly showcases the best in one-floor living. With a base plan starting at 1,900 sq. ft., The Kelly offers expansive living space and sun-soaked rooms with an enviable master suite. And with a number of options, including the ability to expand to an impressive 3,213 sq. ft., this beautiful home is sure to be all you are looking for and more. Starting at $365,900.